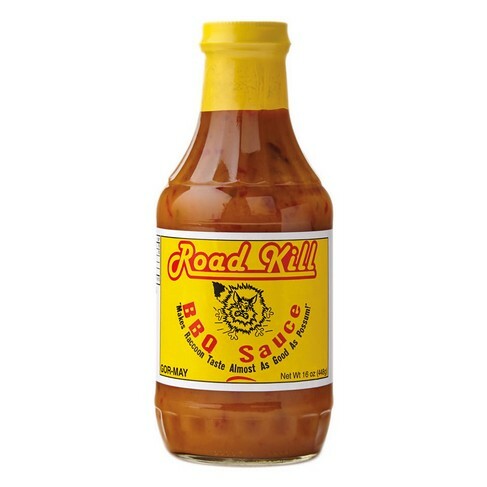 RoadKill BBQ Sauce - Gor-May, Roadkill BBQ Sauce: Southern Flavoring Company, Inc. There's nothing plain about this BBQ sauce. Add it to traditional pork barbecue, use as a glaze on chicken or even use as a condiment for a spicy, smokey flavored hamburger. Save even more when you buy 24 items or more. Call 800-765-8565 for personalized service.